This drain looks to have been built in the last few years. The whole system is concrete and there has been some major landscaping above ground. The dig a hole, fill it with prefab bits and scrape the earth back over method seems to have prevailed here. Upon entering, the RCP has flow for the first 50m, a sidepipe is responsible and after this the pipe is dry. After couple of hundred metres you come into a simple looking overflow chamber. 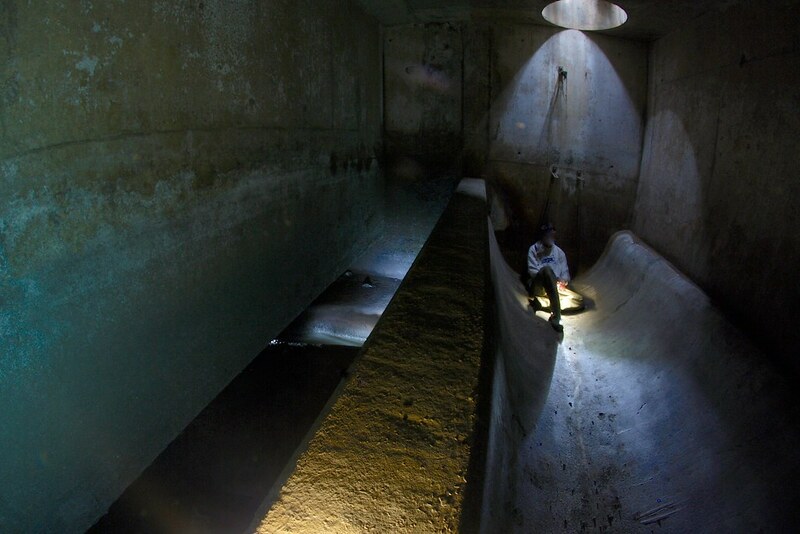 On the other side of the overflow wall a sewer flows down a small pipe and under the overflow channel. 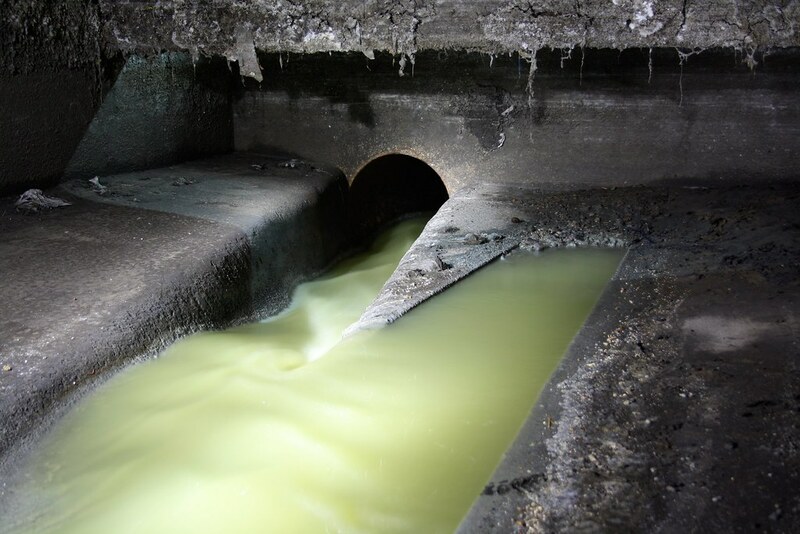 The sewer comes from a much larger pipe, in normal flow conditions it enters the chamber and goes straight into the smaller pipe. When the flow is much higher the smaller pipe cannot take the volume away so it fills up the chamber to about half way. At this point the level is sufficiently high to go over the wall into the overflow channel. 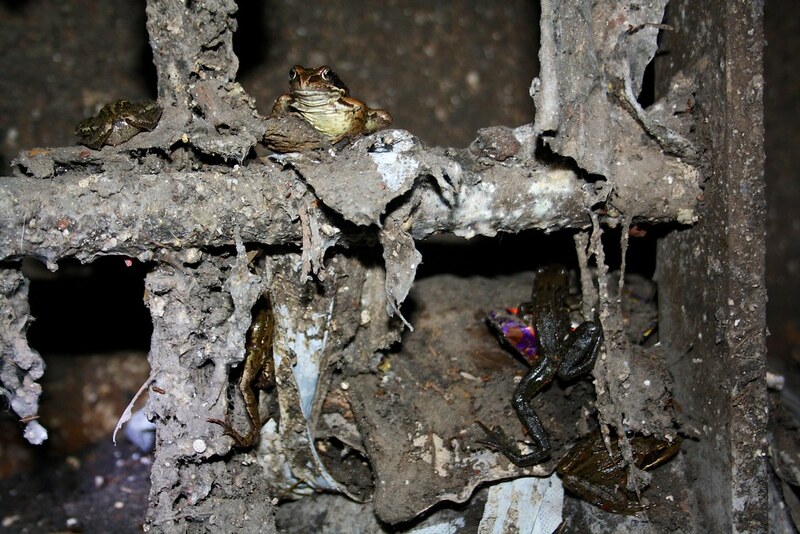 Although the high water line indicated the system does indeed overflow, there was a curiously large group of frogs by a ladder in the main chamber. Some were reasonably big, and didn't look weak. 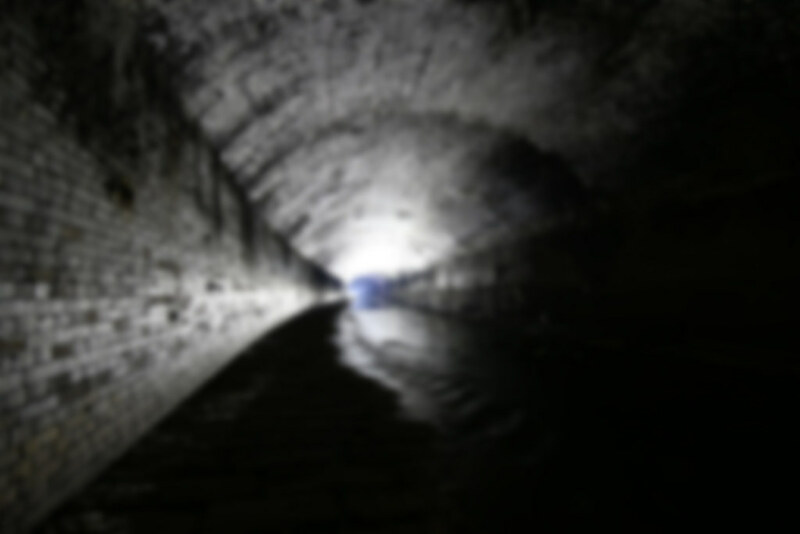 Had they been washed down the sewer and unable to escape, found a quiet little existence for themselves? 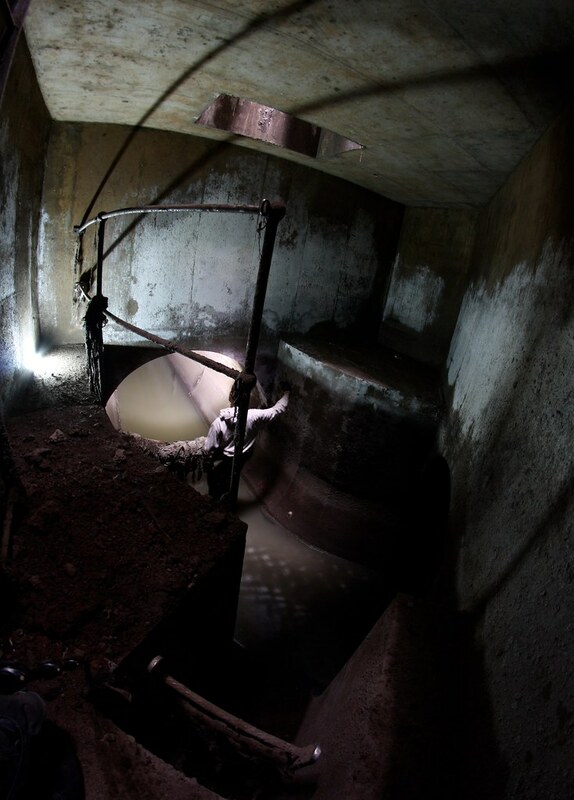 I went up the sewer until the first corner, after this the air looked misty and a massive sewer rag hanging from the ceiling can't have done much for airflow. Being alone I called it a day, but there is potentially more to see.